And His Reaction Is Absolutely Priceless! Though you may know him as the Prince of Darkness and the guy who bit the head off of a live bat, Ozzy Osbourne is also undoubtedly one of the most kind and sincere rock legends on the face of the earth. On numerous occasions Ozzy has gone out of his way to show incredible generosity to his fans and countless charities, and he’s done it once again in an amazing way! 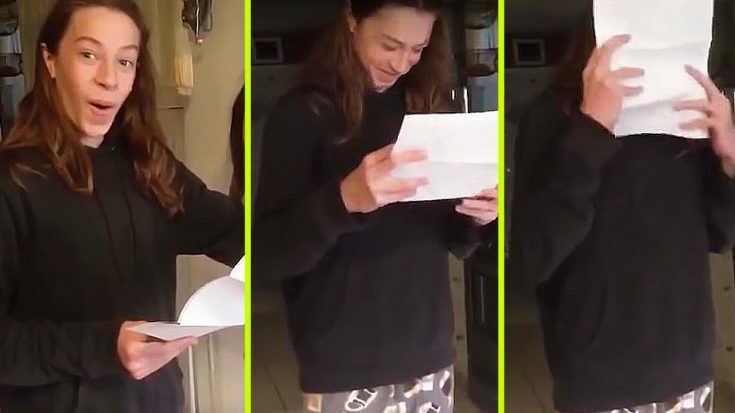 A young man by the name of Charlie was just given the ultimate surprise when he received tickets to go see Ozzy Osbourne live in concert. This alone brought him to tears, but when he actually got to the show, that’s when the REAL surprise happened! Charlie was then brought backstage where he got to meet Ozzy Osbourne and Zakk Wylde, and that’s where he was gifted a Zakk Wylde signature guitar singed by Zakk himself. The whole ordeal rendered him nearly speechless and understandably so. See the full video below where Charlie details the whole experience!